Dating back to medieval times, German Christmas carols have a long tradition. These early tunes normally integrated well-known folk melodies with lyrics written by local clergymen and they were sung in churches, often as choral dialogues, or performed in religious Christmas plays. The oldest known song is "Nun sei uns willkommen, Herre Christ" from the 11th century. 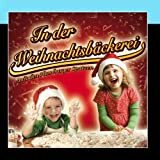 Some of the oldest German carols, such as "Nun komm, der Heiden Heiland", and "Mein Geist erhebt den Herren mein" are translations of Latin Christmas hymns. These songs became part of Church rituals surrounding the observance of Christmas. As such, they were solemn and humble tributes of reverence to an almighty, powerful God. Under the influence of the Reformation, the celebration of Christmas extended outside of the Church into the family domain. It was in the 19th century that many of the festive German carols known today arose. Older carols were adapted and modernized; new lyrics were supplied for familiar folk tunes. While the religious impulse behind the spirit of the celebration was not wholly abandoned, the tone of the new German Christmas carols was lighter and less ritualistic than the Church songs. With the secularization of the Christmas holiday in the 20th century, German Christmas carols arose that had no connection with their religious origins. "Morgen kommt der Weihnachtsmann" is one such example.